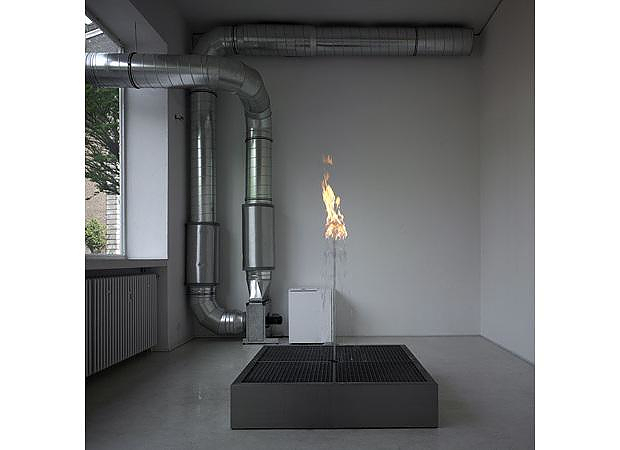 HomeBlogArtArt with Water and Fire by Jeppe Hein. Water Flame art installation by Danish artist Jeppe Hein uses as structural components water and fire and creates a unique and highly impressive visual stimulus. Jeppe Hein is an artist of that loves minimalism and his works usually include a humorous note, most commonly expressed by uniting disparate elements. His favorite subjects are the fundamental forces of nature, such as fire, water, gravity and light. Many of his works are based on the interaction of these forces and their relation to the surroundings and the spectator. Water Flame is an installation combining two elements usually opposed to each other in a spectacular but nevertheless minimalist way. It is essentially a small fountain with a flame burning on the top. 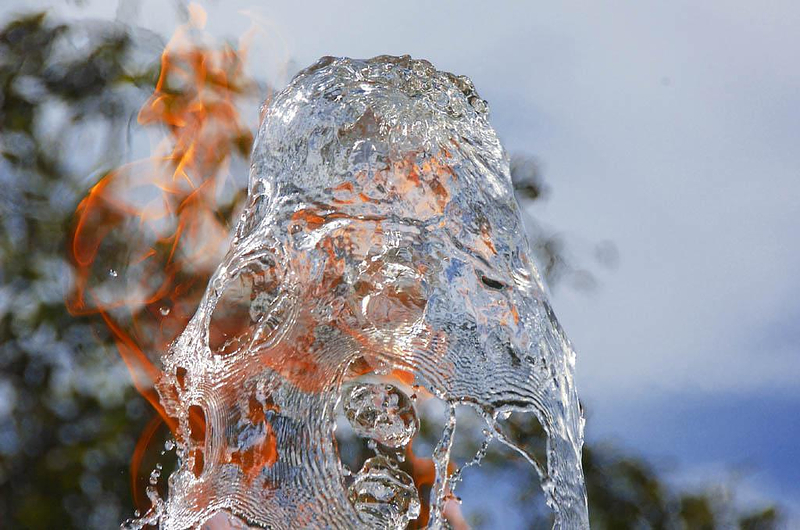 An important element of the installation is the perpetual motion of water and fire. However its most impressive and distinguishing feature is the paradoxical constellation of elements it creates. 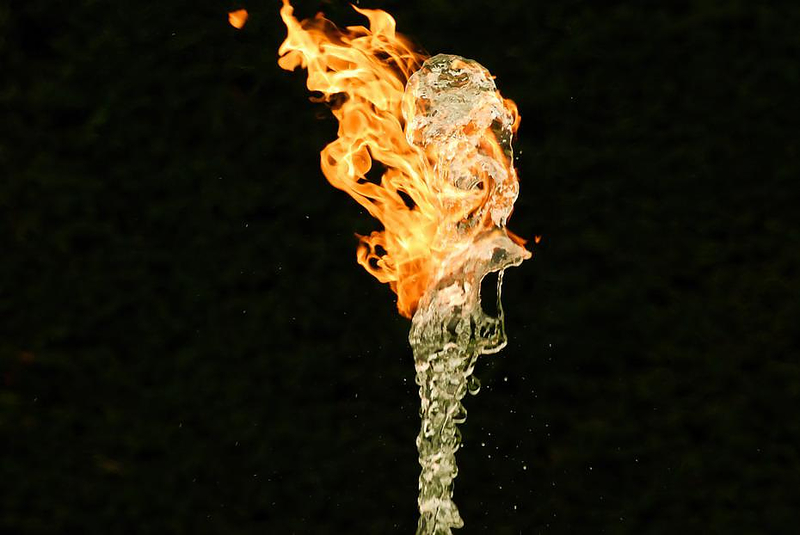 Flames dancing on the water create a paradox, which fascinates and impresses the spectator. 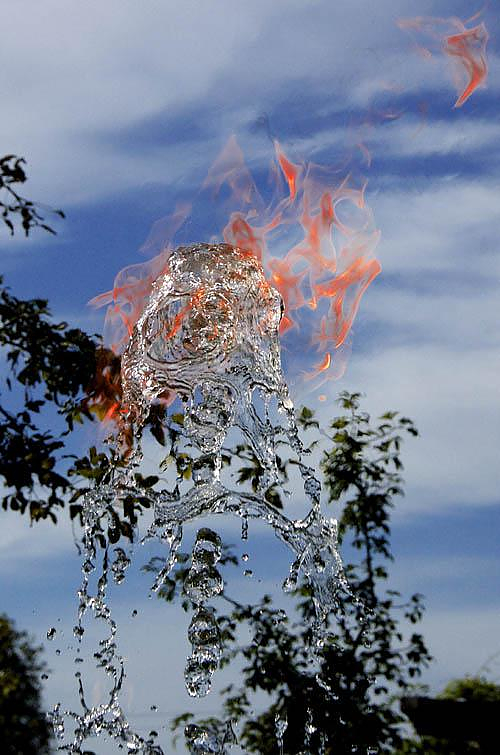 The Water Flame art installation was first exhibited at the Sies+Höke gallery in Düsseldorf in 2006. It consists of a 2X2m water tank and in the center of the tank, there is a jet of water through which a flame bursts. 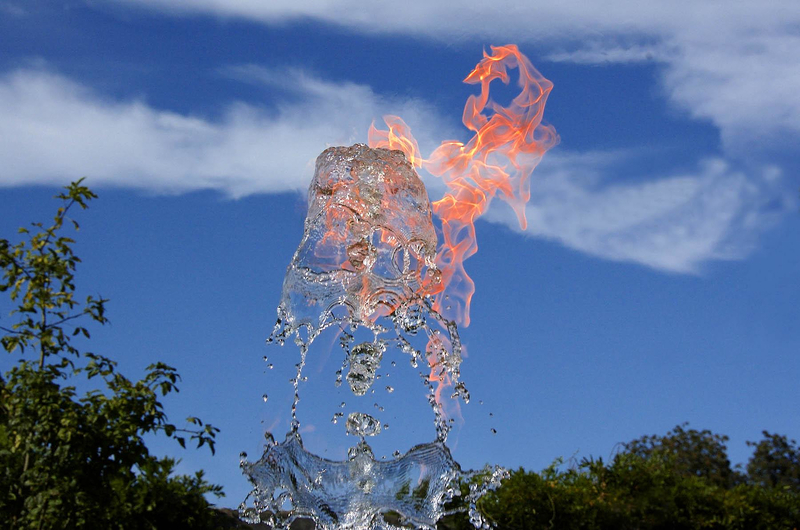 The result is achieved by dispersing natural gas through the water, which is then ignited once it is liberated from the liquid. According to the artist “This exhibition is in some way a contribution to the beauty, the ugliness, the stupidity and the cheerfulness in life”. Jeppe Hein was born in Copenhagen in 1974 and now resides in Berlin, where his work is based. He has presented many exhibitions worldwide in major galleries, museums and cultural events such as the MoMa (New York), the Fundación la Caixa (Barcelona), the Museum of Contemporary Art (Los Angeles), the Biennale of Venice (2003), the Biennale of Liverpool (2006), the Art Gallery of New South Wales (Sydney), the Galleri Nicolai Wallner (Copenhagen) and many other famous places.